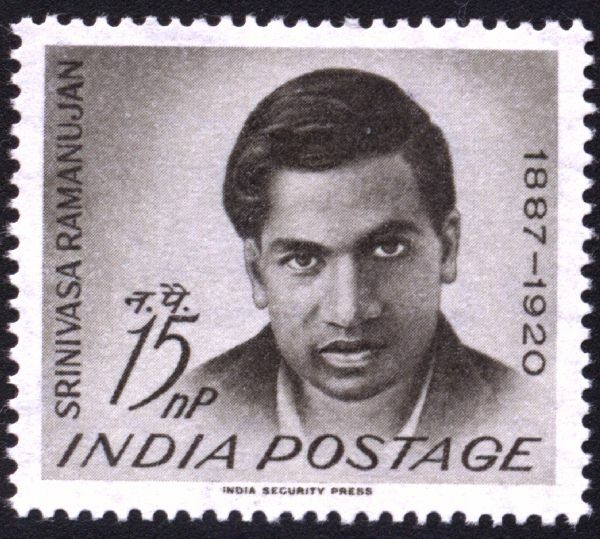 Nearly 100 years ago, the great mathematician Srinivasa Ramanujan was ill in hospital. His friend G H Hardy, professor of maths at Cambridge, went to visit him. Casting around for light conversation, and knowing that Ramanujan was specially interested in number theory, Hardy told Ramanujan that the taxi he’d come in had the number 1729. But, thought Hardy, that wasn’t a very interesting number. Your prize question is this: You are ill (just a bug, not as ill as Ramanujan, but ill). A friend comes to visit. She or he tells you the number of the bus they’ve come by. You say: “Aha. That’s the smallest number which can be written as the sum of squares in two different ways”. You mean like 221 can be written as a sum of squares in two different ways, 102+112 or 142+52, and 169 can be written as 52+122 or 132+02, though those aren’t the smallest numbers that can be written that way. 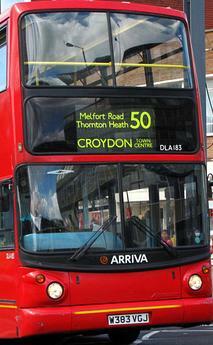 Question: (1) What was the number of the bus? 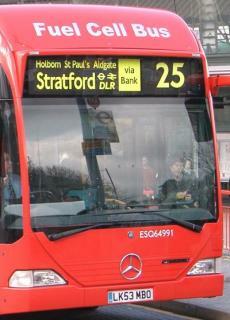 (2) What was the number of the bus if it was the smallest number which can be written as the sum of non-zero squares? To help you, both answers are two-digit numbers. You can find it just by trying out numbers one after the other, or by heavier maths. Mugisha Uwiragiye won the prize. He used the spreadsheet method (way 1 below). You know the answer 25 because you know 3, 4, 5 is the smallest right-angled triangle with whole-number sides, so 25 is the smallest square which is the sum of two squares. 32+42=52+02. The first way to find the answer 50 is to make a spreadsheet with rows labelled 1 to 9 and columns labelled 1 to 9, and each cell containing the square of the row number and the column number. Then just look. Second way: use difference of squares. so as soon as we find a number which has two different factorisations, in both of which the factors differ by an even amount (i.e. both factors odd, or both factors even: so it must be an odd number, or a number divisible by 8), then from it we can calculate a number which is a sum-of-two-squares in two different ways. At this point you might think that the smallest number which is the sum of two non-zero squares in two different ways is 65. But no! If the number M being factorised = a2−c2=d2−b2, then both a2 and d2 are greater than M, so the sum-of-squares number produced by calculating from the two different factorisations of M must be bigger than M.
To be sure that 50 is the smallest, we need only check the other two-different-factorisations numbers between 24 and 49. A quick scan of them shows that for each of them one of the numbers in one of the factorisations is bigger than 2√50, so we’re done. Third way: go through the numbers 1, 2, 3, 4, …. one by one until you find the first one which is the sum of two non-zero squares in two different ways. So you don’t have to check numbers of type 11. A further argument shows you have to check numbers N of type 10 only if ½N is an exact square of a number of type 01. That means the only two-digit numbers of type 10 you have to check are 2 and 50. So, for each way in which N is a sum-of-squares, there is a corresponding way in which ½N is a sum-of-squares. If N is a sum-of-squares in two ways, so is ½N unless (2m−2n)=0. In that case, m=n and ½N=(4n+1)2. Thus there is only a possibility of N being the smallest number which is a sum of two non-zero squares in two ways if ½N is the exact square of a number of type 01. So it’s enough to check only a few more than half the numbers between 1 and 99, namely 1, 2, 4, 5, 8, 9, 12, 13, 16, 17, 20, 21, 24, 25, 28, 29, 32, 33, 36, 37, 40, 41, 44, 45, 48, 49, 50, 52, 53, 56, 57, 60, 61, 64, 65, 68, 69, 72, 73, 76, 77, 80, 81, 84, 85, 88, 89, 92, 93, 96, 97. If you look up the general rules for numbers being sums-of-two-squares, you also know you need check only the numbers whose prime factors are 2 and odd primes of type 01. Thus you need check only 5, 8, 13, 16, 20, 25, 29, 32, 37, 40, 41, 50, 52, 53, 57, 61, 64, 65, 68, 73, 80, 85, 89, 92, 97. You’ll get the answer, 50, as the 12th number you check. This doesn’t absolutely prove that 50 is the smallest sum-of-two-non-zero-squares-in-two-different-ways number, but it’s a strong hint. As of now, I can’t see how to prove that any number which is a sum of non-zero squares in two different ways is a product of sums-of-squares. It’s true for small numbers, but it may not be true in general. Mackay and Mahajan are convinced that above a certain size, all numbers, even primes, which are sums-of-squares at all are also sums-of-squares in at least two different ways. This entry was posted in Quiz and tagged Number theory, combinatorics on July 7, 2015 by dlandmj.